According to Agents of SHIELD star Clark Gregg, the series found its glory when it started to drift apart from the mainstream MCU. 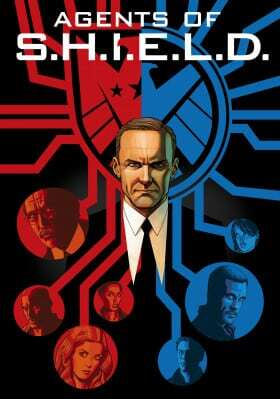 When Agents of SHIELD was first aired in 2013, the plan was for Marvel shows and films to be interwoven. These plans changed in 2015, however a corporate restructure divided the Marvel Studios apart from Marvel Entertainment. Fans and stars both, have frequently complained at the division created by this. Everything happens in the same world and it all “connected”. However in practice, these connections only work in a single way. Marvel TV shows acknowledge the films, but the films never do the same with TV. During an interview with i09, Agents of SHIELD’s Clark Gregg revealed that there is a positive side to this division. He clearly stated that the series is better being away from MCU. “I think in the early days it was very much an experiment and honestly, Marvel was really one big company, and now it’s really not. I think it’s really two separate divisions and there was a real desire to thread very carefully what we were doing with the movies. You know, at the end of season one with the Hydra reveal in Captain America: Winter Soldier, it turned our show upside down. Clark Gregg has a point here. At the starting of the second season, Agents of SHIELD started building its own mythology, bringing in Inhumans and the revelation that Skye was actually superhero Quake. In the third season, the team of SHIELD was confronted by dangerous foes like Hive, without having an Avenger by their side. The fourth season of Agents of SHIELD was the best, as the series reinvented itself by taking in everything from supernatural horror to virtual dystopian realities. Obviously, we see a lot of connections to mainstream MCU, like Thanos’ threat which was suggested in the fifth season of Agents of SHIELD. The series used these ties as springboard to start its own series and Thanos became an inspiration for a wonderful arc which saw time travel and power enhancer that could have split the whole planet apart into an egg. The fifth season didn’t feature Thanos’ snap, and season six will be premiering after Avengers: Endgame. Avengers are expected to undo the effects of snap, its probable that Agents of SHIELD will never tie into the Decimation in MCU. And well, undeniably, yes, Agents of SHIELD and other Marvel TV shows afe better without having any connection to the mainstream MCU. What happens in Agents of SHIELD season 6?